Karina's Kreations: Stampin'Up Incredible Like You Project Kit! 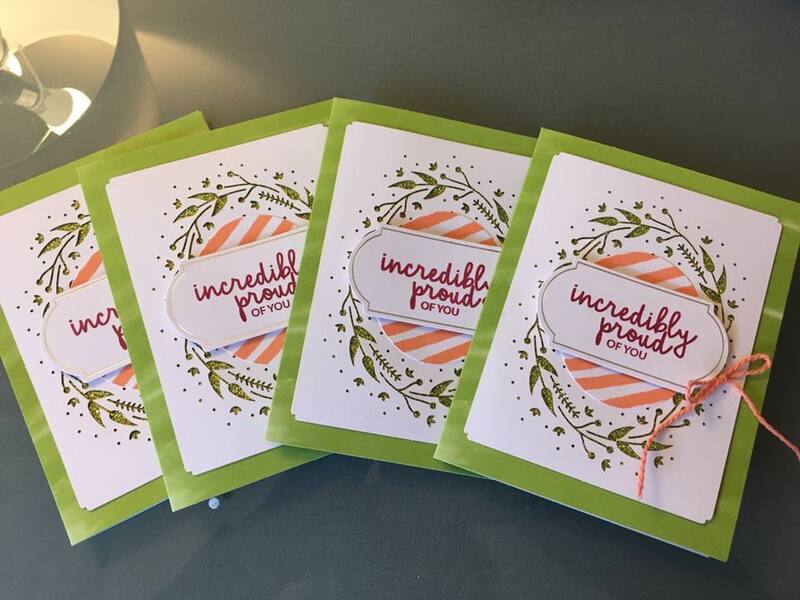 Stampin'Up Incredible Like You Project Kit! If you love to craft but are short on time, consider getting of the Stampin'Up card kits. On Jan 3, you order the Incredible Like You card kit and the Incredible Like You stamp set and make these cute cards. The kit makes 4 different designs with 4 different sentiments. Here's a fun video you can watch showing you the kit. To make this project you also need a Lovely Lipstick and Costal Cabana ink pad and Liquid Glue. Click on a picture below to go to my online Stamping Store.